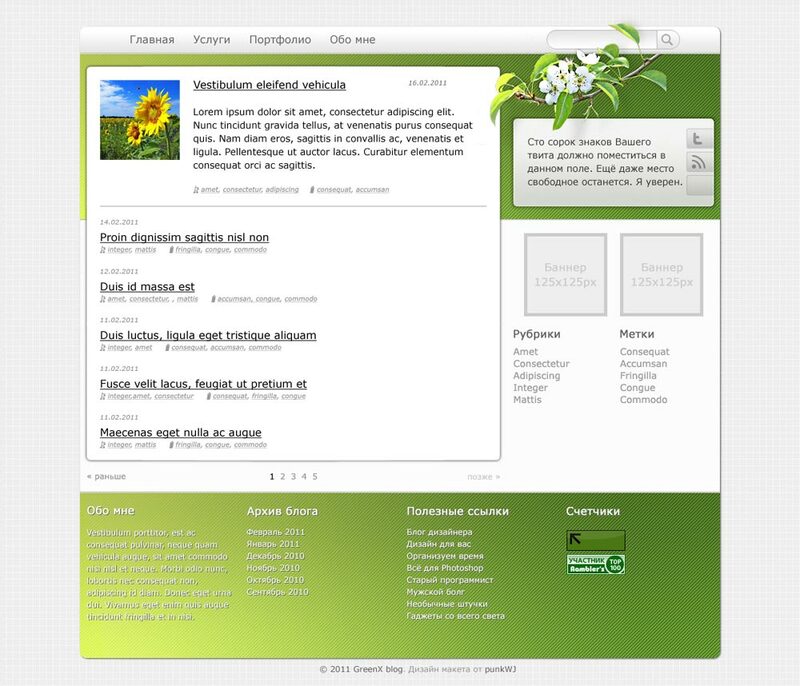 The layout of the blog, created with grid 960gs, as well as preduspotreno that users with small screens, such as 1280x800 and 1024x768, will see all the important information without having to scroll vertically. All design elements are on separate layers. Screenshot has reduced the size and quality of the initial 50%.